Cheating, deceit, lack of love and communication, separation, divorce etc are all initiated and nurtured in the spiritual. What is important is that you deal with them the right way. Fight in the spirit, with a higher spiritual weapon. That’s what you and me are doing here, praying the Word of God. By the grace of God, we have just started week two of the BBI 7 Intensive Partnership Prayers. God has been faithful. The prayers are in full throttle. I see many people persisting earnestly in prayers like us here. The devil and all those who want to scatter your marriage will be messed up. God will show you His glory and all eyes will see your marriage bounce back. Lazarus was dead and was considered a hopeless case until Jesus came to the scene and there was revival never seen before (John 11:41-44). Peter toiled all night hopelessly without anything to show for it until Jesus arrived, and his story changed beyond his imagination (Luke 5:5-6). When Jesus’ name is invoked in right prayers, He is committed. Therefore, whatever you heard Jesus do in the scriptures is repeatable in your matter. Yours can’t be too hard for Him. From time to time, I hear some women say that their cases were more serious than others. • You have been divorced, and perhaps, your husband is remarried. •Your husband is separated from you for long, and perhaps not communicating. • Your husband, perhaps with his family, has openly rejected you (his wife) and told you he has no more interest in the marriage. • Your husband, though comes home sometimes, but avoids you and chats on phone with the strange woman in your presence. These women consider those whose husbands are cheating and lying, but still comes home, far more likely to succeed in prayer. This reasoning is so wrong because spiritual things don’t work that way. 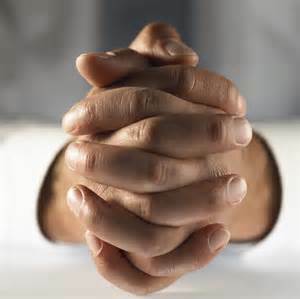 Prayer cannot be calculated like math, neither can you know the toughness of a case by what you see or experience. What you see as a little case may just be signs of spiritual preparation for a total war against that family. On the other hand, what looks like an impossible, or hopeless, case may signal the end of the siege and the exiting of these wicked spirits from that home. If you are sensitive in the spirit, you will know. Whatever stage anyone’s case may be, prayer is the right way to go. You can never win a spiritual war if you go physical. The contest for your husband and marriage would be won by you through these prayers. I say this without any doubt. Your case may seem hard in your assessment but it is indeed very easy before God. God is involved in your battle. I’m sure you know that, if not, what are you doing here? But your attitude is important. You should expect to win because your expectation is a helper to your success. God has never lost a battle no matter how fierce or terrible... or long. He always wins. Check your Bible, see how God out His Way among the peoples, the events, the kingdoms, wars etc. Did you ever hear of any person or group that fought God and won? That is how the strange woman and all those that support her will be routed out of your marriage forever! Again, we had some hitches in our payment system for the BBI 7. Our system rejected some credit cards for the seed-faith. These people were eager to fulfill the BBI Prayer Covenant but were blocked. I was also concerned… they kept urging me to find a way for them. So, one early morning, I took the matter to God to get direction on what to do. He told me to ask one of the precious daughters of God from Romania to collect the seed-faith monies via her personal Paypal account and remit to us later. I wrote her and she so graciously obliged to help out. This woman is pure gold, a true gem, an embodiment of integrity. I feel so touched by her goodness. She is a sweet soul. God will surely reward her and help her. Many thanks, Jeana! I just have to mention you here. I know there are many good women out there who would also help out if we asked. My God will not let you pray in vain. Those who want to be part of the BBI 7 may still join until Friday March, 8 2019. You will have to send a seed-faith sacrifice CLICK HERE. The BBI 7 Letter will be delivered immediately on your browser screen. If you have issues with any of that, send me an email. Do You Want To Send Us An Offering.